Come to campus for an event or activity—and get a taste of Gordon together. Several events throughout the year offer great opportunities to bring your youth group, academic club, musical ensemble or theater troupe to campus. Start with the list below, or explore our event calendar. La Vida Center for Outdoor Education and Leadership activities (flexible dates): traverse the Gordon Woods challenge course, scale the indoor rock wall, or catapult over campus on the Flying Squirrel. Contact La Vida for more details! Catacombs (every Sunday night): join us for a weekly student-led worship service in the A. J. Gordon Memorial Chapel. Athletic games (view schedule): bring your teammates along and cheer on the Fighting Scots during games and meets at Gordon. Theater performances (view schedule): Experience the unique black box theater and enjoy full productions and senior showcases.  Music events (view schedule): The Gordon College Music Departments hosts a wide variety of events throughout the year, including the Bynum Recital Series, Ensemble Concerts, and the Christmas Gala. Gallery exhibitions (view schedule): The Gallery at Barrington Center for the Arts hosts four major contemporary art exhibitions each year and two spring thesis exhibits of work by senior art majors. Social Venture Challenge (April): witness the action as teams of inventive Gordon students compete for seed money to fund their entrepreneurial ventures. Gordon Woods tour (flexible dates): explore the diverse ecological and environmental research happening in our own backyard under the guidance of Dr. Dorothy Boorse, co-author of the most widely used environmental studies textbook in the country. Or contact the Admissions Office at admissions@gordon.edu or 866.464.6736.